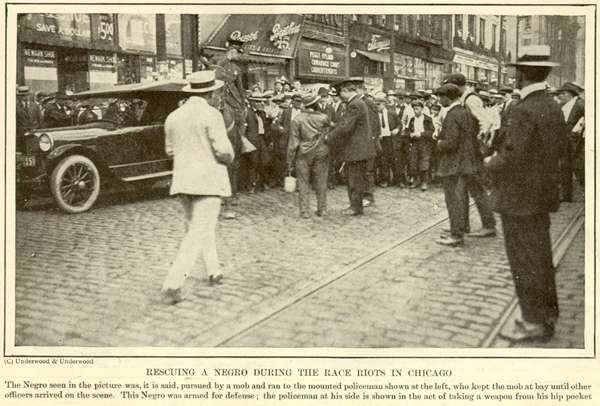 The Chicago Race Riot of 1919 was sparked by a police officer’s refusal to arrest whites responsible for the drowning of a black boy who had floated across the invisible line that separated the “white” and “black” sides of a lakefront public beach. 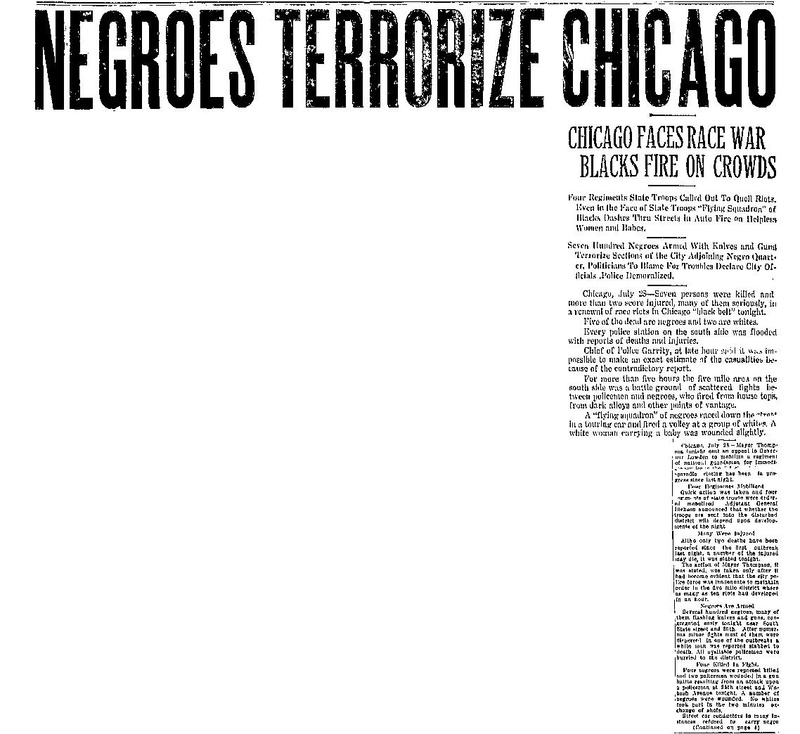 Tensions in Chicago had been growing for several years prior to this incident, however. The Great Migration caused an influx of black residents to a city that had long been characterized by strong labor unions drawn from white/European ethnic neighborhoods. 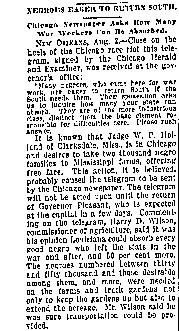 Black southern migrants, accustomed to conditions that were akin to peonage, proved willing to accept lower wages. Black workers were used often as strikebreakers – a pattern exacerbated by many unions refusing to admit them. 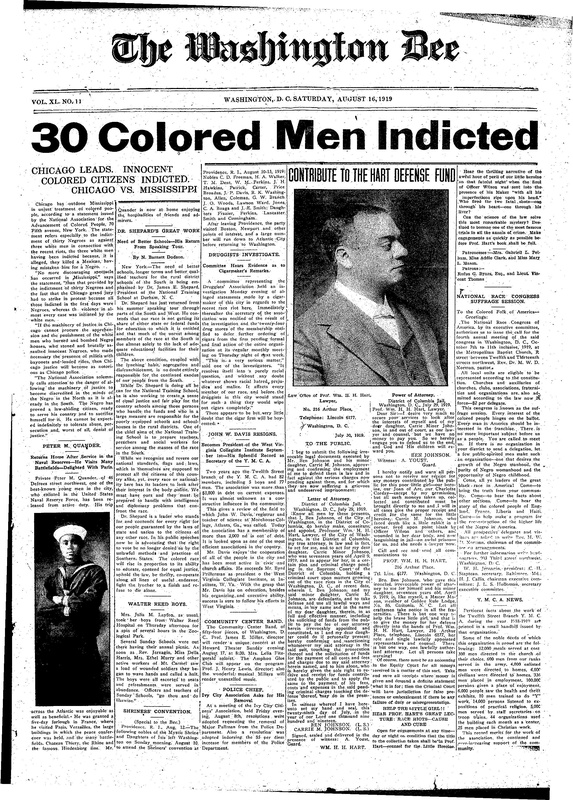 Although the riot began in response to violence on a public beach, it soon grew to include gangs of veterans, union members, police officers, and national guardsmen, who responded severely when black Chicagoans defended themselves. 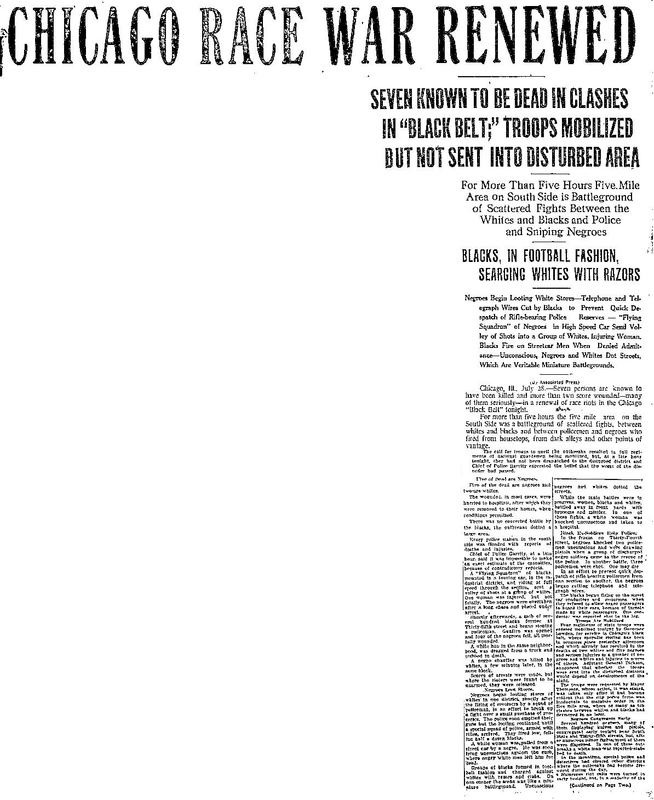 One of the largest, longest, and most destructive riots of the Red Summer of 1919, this incident was covered nationally, and has since received significant scholarly attention. 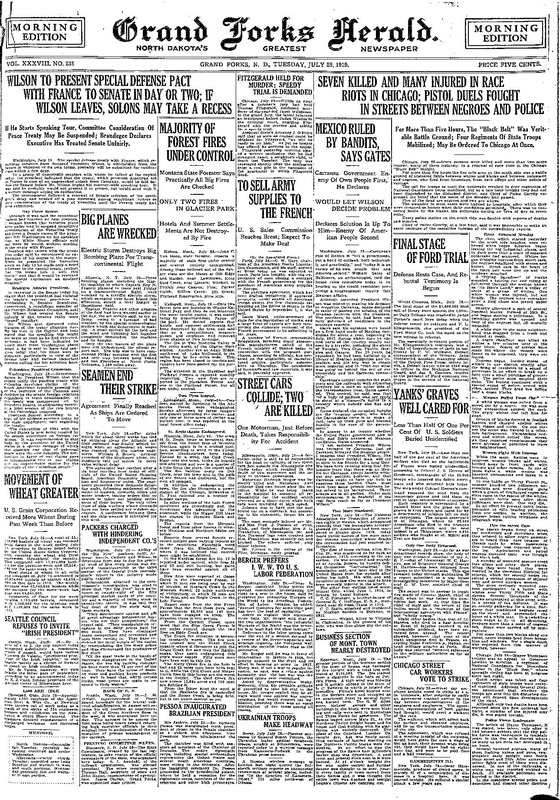 Newspaper clippings included here represent widely diverging viewpoints, with mainstream papers focusing on black militancy, while black newspapers highlighted longstanding injustices suffered by Chicago’s black residents, including the indiscriminate violence of both citizens and officers of the law.